The former bosses of the two biggest UK casualties of the banking crisis have apologised “profoundly and unreservedly” for their banks’ failure. Former Royal Bank of Scotland chief executive Sir Fred Goodwin told MPs on the Treasury Committee he “could not be more sorry” for what had happened. But the jury remained unmoved. Chairman Tom McFall dismissed their grovelling pleas for mercy. But the public anger might be as intense, and approval for meting out the harshest punishment possible on those accused. So far, the most virulent attacks have showered down on the Leaders of the biggest financial institutions, and then The Government. But there is a more general wave of anger directed to all politicians, and that ‘least worse system’ of representative democracy. It is coming. The terror. And intellectuals will not escape scrutiny. What training did these people get to equip them to run a bank? Well, the answer is, a great deal of training. So let’s reserve a tumbrel for the leaders of business schools. Once again, the cry will be heard. What did you teach the MBAs at Harvard Business School? And after that the tumbrel. Stop, enough. I want to get back into a state of denial. The little Swiss community of Davos attracts over 2000 leaders from many walks of life for an annual conference. 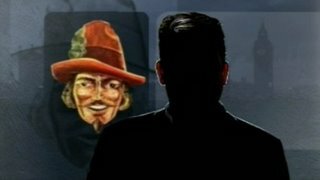 The event also attracts protestors, and much intense blogging about global elitery, and global conspiracies, although not attracting as many conspiracy theorists as the even more elite Bilderberg group meetings . This year, leaders of global finance institutions were rarer than usual, perhaps not wanting to be accused of reckess spending habits. During a series of interviews conducted in the online universe of Second Life — in which a digital persona of Reuters’ Adam Pasick questioned the digital personae of various Davos attendees — a man carrying an anti-Davos placard apparently sauntered right into the virtual auditorium. On its Davos blog, Reuters reported Friday [Jan 2007] that the interloper was Iuemmel Lemmon of the protest group DaDavos. His avatar, or online personality, sported a beard and what looked like a blue beret. Second Life protests have considerable appeal. There are no broken heads the next day in a little Second Life island high in the Swiss alps. The Fourth annual Battle of Ideas will involve over 1500 participants including strands on bullying at work, biomedicine, the family and (inevitably for election week). 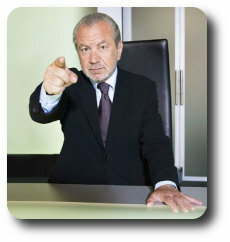 The bullying at work session has marketed itself as Picking on the Apprentice. Leaderswedeserve has had a few points to make in the past on the television program. Like ourselves, The Institute of Ideas is more interested in hitch-hiking on the over-publicized programme to get at a far wider wider range of issues. The bullying event will examine the recent case when a Marks & Spencer employee was fired for whistle blowing. And the example of Jason Toal, a black fireman bullied by colleagues who hurled racist taunts at him and allegedly soaked him with water and binned his paper work. Other sessions will explore whether management consultancy and the professionals are in need of a stronger moral compass in the interests of the community, and (if that appeal is not enough) for their own post-credit crunch survival. Many people have developed a kneejerk reaction to describe their feekings of frustration and anger under the catch-all phrase political correctness gone mad. It might be interesting to trace the origins of this. I have no doubt that themes within the Battle of Ideas will attract the inevitable media take of political correctness running mad . Which is OK. It is a comfort to think that debate offers a chance to develop more balanced views, and more importantly to act accordingly. On balance I’d say that is political correctness operating in a socially healthy way. If Gwyneth Dunwoody had followed personal ambitions on the road to political advancement, she would have challenged for the highest political honours. It is interesting to speculate what might have happened in the process. If so, the panellists would almost certainly have been more likely to opt for a no-nonsense, tough and reliable model. Maybe a modern Skoda. Certainly not a flashy and sporty job. They would certainly not have nominated a sporty Austin Healey, trendy Smart Car, or posh Porsche Testosterone. She developed a media style of humouring the more fatuous celebrity journalists. It seemed to reflect a crusty integrity. But a leader? Maybe she was too likely to place ethical considerations even above party political advantage. I suspect she would have been more than able to combine integrity and competence, but the suspicion among the king-makers and queen-makers might have been enough to preclude her as a serious contender for the top job. Maybe a different culture facing different problems would have recognised her leadership attributes. Yes, I could just about see Gwyneth not as a Tony Blair middle-east mediator but a Middle East leader of Golda Meir stature working tirelessly towards a just resolution of the region’s problems. But that’s all a fantasy. Crusty integrity does not generally play as well in the leadership dramas as polished insincerity. Or, maybe even the rarer commodity, polished sincerity. Why didn’t I think of Gwyneth before? So have I fallen into the tradition of praising the recently-departed figure? Possibly. In compiling case examples of political leaders I have been aware of a dearth of female candidates. Has habituated prejudice blinded me to the possibility among those in public life in The United Kingdom? POssibly. But I don’t think even now of Dunwoody as a female politician, but as an unremarked but able politician who happened to be female. It is a pity that her story is less well-known than would be the case from a more determined self-publicist. I vaguely remember her father Morgan Phillips as a General Secretary of the Labour Party. I did not know that her political pedigree went back to her grand-mothers, who were both suffragettes, and her mother who became life-peer, and Lord Lieutenant of London. The tributes today brought back other incidents that briefly hit the political headlines. 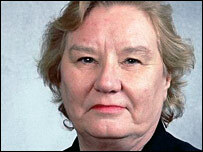 In December 2007 she surpassed Barbara Castle’s record for the longest unbroken service for a woman MP .. Mrs Dunwoody was also a Member of the European Parliament between 1975 and 1979, at a time when MEPs were nominated by national parliaments. Her most famous victory over those within the party who would shut her down came in 2001, when backbencher Labour MPs defied the party hierarchy to back her as chair of the House of Commons’ powerful transport select committee. Under her leadership, the committee had produced several [frank] reports on government transport policies – which many saw as a factor behind the government’s desire to replace her with a more pliant chairman. It is still tempting to compare and contrast the background and careers of Gwyneth Dunwoody and Shirley Williams. The association comes to mind in examining their backgrounds. Williams hailed from the intellectual and more privileged Fabian wing of the emerging socialist movement. Her mother was the distinguished novelist Vera Brittain. Vera and Shirley graduated from Somerville College, Oxford (as did Margaret Thatcher). Gwyneth, The Skoda; Shirley, perhaps like some car out of a movie fantasy, maybe on of the most famous of all, Genevieve herself. Genevieve is fondly remembered for symbolising some gentle unself-conscious former beauty. Quintessentially English, of course. Except Genevieve in the film was actually not what we always believed. Genevieve, unlike Shirley Williams, was in truth of distinctly non-English heritage (a veteran twin-cylinder Darracq). Shirley Williams was also a rather glamorous and romantic figure in an earlier era. Not that you’d think so from the rather prim version available on her current web-site. She became a more notable political figure in British politics for her membership of the gang of four now demonized for its contribution to the decline of the traditional Labour party, and eventually to the formation of today’s Liberal Democrat party. Her break was with the values of Old Labour to which Dunwoody remained faithful to the end of her days. In contrast to Gwyneth, Shirley has shown an intellectual pragmatism throughout her career. Quite recently she accepted Gordon Brown’s invitation to work within his ‘Government of all the talents’ while retaining the Lib-Debs whip in House of Lords. Gwyneth has always demonstrated her convictions as unshakably as did Margaret Thatcher. That is not to suggest that Williams is less genuine or firm in her beliefs. Rather, her upbringing, and scholarly professonal career shaped a more nuanced political philosophy. Bloggers tend towards the detached or the involved. In general I have favoured the detached style, dealing with people and issues which I nevertheless find personally important. This one is different. Gwyneth died on the day I shared with my family in South Wales services of thanksgiving for Mabel Goldsworthy Rickards. That’s why this is a very personal blog, and utterly influenced by not one, but two remarkable women. O.K., here’s a confession. Network Rail doesn’t actually run trains. It looks after the tracks, and gets blamed when the trains fail to run on time, and that’s the tenuous link with the old myth about trains needing dictators to be run on time. [Network Rail] has a month to haul the upgrade of its busiest line back on track after regulators imposed a record £14m fine and a package of measures to tackle the infrastructure company’s lacklustre planning procedures. The Office of Rail Regulation yesterday gave Network Rail until March 31 to agree with passenger and freight train operators a new plan for the £8.12bn upgrade of the London-Glasgow West Coast Main Line. The project is due to allow substantial reductions in journey times and more frequent services from December this year but is more than 300 hours of work behind schedule. Network Rail’s chief executive Ian Coucher said his company had now put “military-style” command posts in place, and he pledged that the delays suffered by passengers over the New Year would not be repeated. Let’s say I’m a bit sceptical. About Dictators making the trains run on time. About Network Rail’s changed operating procedures. Network Rail came into existence as an emergency measure when in an earlier incarnation, Railtrack, failed to meet its charter. Railtrack was itself part of one of the last efforts to introduce competitiveness into Britain’s public sector transport systems. The plan always had a clunky feel to it. The vision of effectiveness through liberation of free market entrepreneurial behaviours through competition proved too much to achieve. Competition between the new companies owning trains was always marginal, outside a few fingers of land in commuter territories. No way was found to breathe competition into the operation of the track, which is where Railtrack, and subsequently Network Rail came in. The dilemma for the Government was pointed out by commentators such as Management Today. Network Rail is, to all intents and purposes, a nationalised company (although the government doesn’t technically class it as such, or it would have to take its enormous debts onto the public balance sheet). It’s not run for profit, and it doesn’t have any shareholders. So where exactly is this £14m – a record fine for a rail company – going to come from? The only possible answer is that either the government hands over £14m of taxpayers’ money to pay the fine (which would basically amount to robbing Peter to pay Paul), or the money is taken from the pot that Network Rail is using to upgrade the railways. And as punishments go, this seems a bit self-defeating – how is it going to do an under-invested rail network any good if the Chancellor confiscates £14m from the network operator for the Treasury coffers? So might a dictatorial approach be worth considering? Would the trains then run on time? That may be in the nature of an cultural myth. It arose around the Italian dictator Mussolini. The history-debunking site Snapes will have none of it. Turns out that there were efforts to improve Italy’s ramshackle railway companies in the 1920s, before Il Duce came to power. Mussolini claimed two things. One that the trains now ran one time. And two, that he had achieved the changes through his leadership. Neither claim seems to survive more careful scrutiny. So when Network Rail claims to have improved by introducing more military discipline into its operations, we might be wise to exercise some caution about promises and premises. A related case illustrates that you don’t need a dictator to run a rail business well. The business is National Express. The rather non-dictatorial leader is Richard Bowker. The story requires a post of its own. National Express runs the C2C, Gatwick Express and One Rail franchises, bus businesses in Birmingham, London and Dundee, and long distance coaches across the UK. Richard Bowker has been hailed as an effective leader of a complex business. Reporter David Parsley noted the difference in style in the former rail regulator. Bowker is a changed man. He’s friendly, open and makes a great deal more sense than he ever did working for the Government. It’s like someone has taken his brain off a Whitehall shelf and put it back in. Situational leadership? Maybe, but it is clearly counter-evidence to the simplistic proposition that you need a dictator to make the trains run on time. Rudy Giuliani’s tactics for becoming President failed in spectacular fashion in Florida. Did he rely too much on his reputation as the strong leader in New York after 9-11? Were Republican voters influenced more by his policies or by other more personal factors? Several factors are being discussed as contributing to Rudy’s failed bid to win support for his campaign to become the Republican candidate for the Presidency. It is still hard to write about Mr Giuliani without some reference to his leadership as Mayor of New York, in the immediate aftermath of the twin towers disaster in 2002. This was widely acknowledged as a bonus in his subsequent attempt to become President of the United States in 2008. His reputation as a strong leader had remained with him, an apparent personal asset in the intervening years. But that reputation is now being discussed as having been over-emphasised in the present campaign. [H]e may have overplayed the 9/11 legacy. One Democrat parodied his speaking style as “Noun, Verb, 9/11”. The second factor concerns the tactics of the campaign, which had always been seen as at best risky, and at worse foolhardy. We always knew that Mr Giuliani’s strategy of focusing his time, energy and money in the first big state to vote was one of two things; either a stroke of political genius that would rewrite the rule book about how you run for the presidency, or an act of madness that would see the long-time Republican front-runner fall at the first hurdle. Now we know which it was. The other factors cited included his personal life style. While his rivals were making headlines for their early victories, the former New York City mayor faced a flood of negative stories about his personal life and judgment, many tied to third wife Judith Nathan and disgraced longtime ally Bernard Kerik. Other factors were also mooted. His refusal to bad-mouth other candidates was suggested to have been a mistake. If that can be shown important it it even clearer that we elect the leaders we deserve. His emphasis on a hawkish line on Iraq was also believed to have been an unpopular message. Concerns about the economy strengthened the claims of the Reagan-like charms of Senator McCain. I have not come across a single published reference to a factor that has struck me from the start of the campaign. Rudy Giuliani comes across as one of the least photogenic of the candidates. Perhaps it is too crude an observation; his appearance has not been helped by his medical condition in recent years. Maybe I am alone in thinking he appears somewhat off-putting. He reminds me in appearance rather like the cadaverous and seriously scary English politician Norman (the polecat) Tebbit. Margaret Thatcher was said to approve of men with charm. Norman was not high on the charm meter, but she approved of him, because she needed the impact of such a semi-domesticated frightener from time to time. Nor did his appearance prevent Lord Tebbitt from gaining high political honours, any more than a more recent conservative figure Michael Howard who was also less than an easy figure to provide with a reassuring public image. Ugly can be reassuring and even provide scope for a public image of a no-nonsense and dependable leader (‘warts and all’ as Oliver Cromwell put it). But ugly and scary? Should any of this matter. It would be comforting to think that it does not matter as much as policies, integrity, psychological stability and a dozen other factors when we chose a political leader. The absence of comment about Rudy’s appearance may mean it’s a trivial point. Or it may suggest a collective sense of discomfort in observers which sets any discussion out of bounds. One day after the Florida results, Guiliani retires from the race, and offers his support to John McCain. You are currently browsing the archives for the Leaders we deserve category.